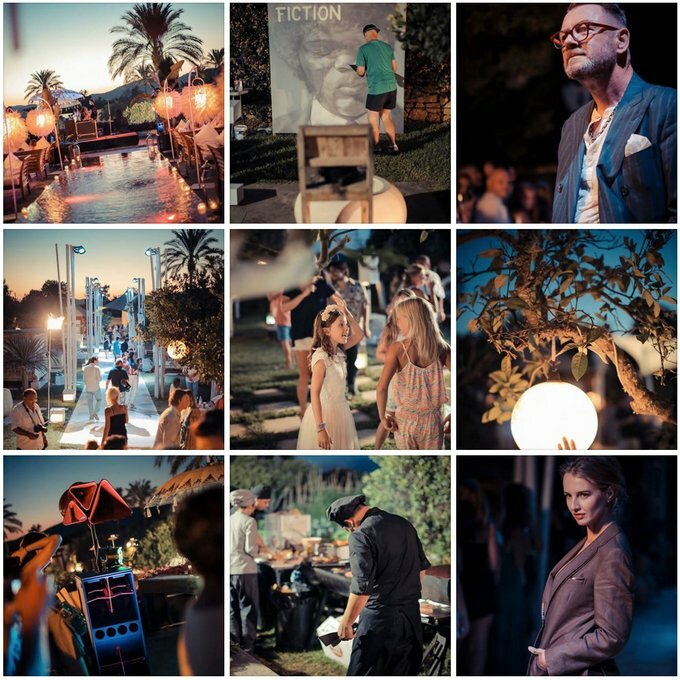 Music, art, fashion on Ibiza... all in the beautiful surrounds of Atzaró. After 5 successful events under their belts, we expected the launch party of Urban in Ibiza 2014 at Atzaró to be good. It was much, much better than that. The live art was magnificent and particularly breathtaking was Fin Dac’s stunning, Japanese influenced piece. The music performances were of consistently high quality with DJ Ironic smashing out some very cool dubstep and Atzaró, as usual, were impeccable hosts. Mark Powell’s new 20s influenced bespoke tailored collection was modelled with panáche and with the tongue ever-so-slightly in cheek. The place was buzzing and of course we had a ball. Urban art and fashion lovers, get yourselves down there! The exhibition continues until August 21st.